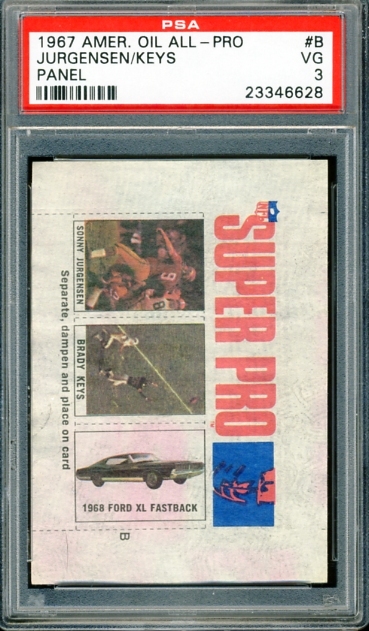 In both 1966 and 1967 American Oil issued sets of stamps of All-Pro players. 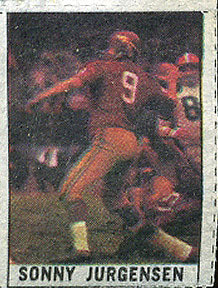 They were available through dealers and could be redeemed for prizes if you collected certain groups of stamps. 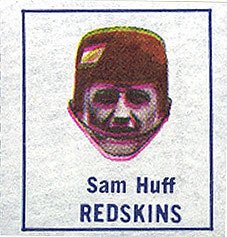 Sam Huff was the only Redskin in the 1966 series. 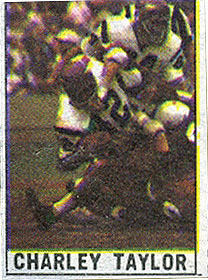 In 1967, Sonny Jurgensen and Charley Taylor makes up the Redskins team set. All these stamps are shown below.